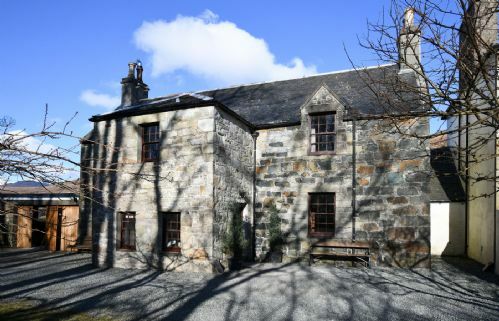 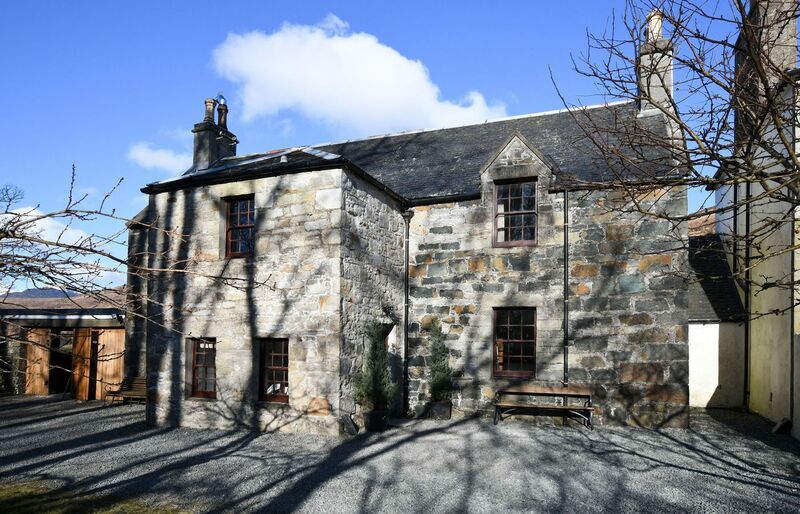 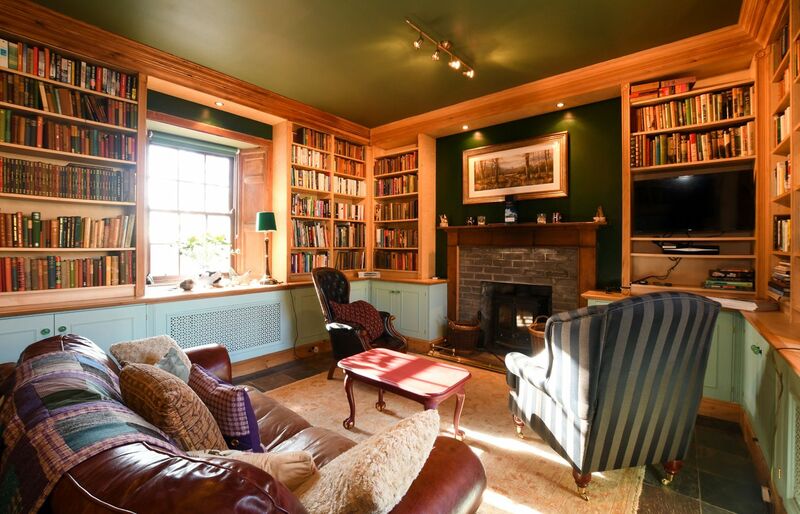 The Library at Strathaird House is a characterful and charming spacious holiday home set in stunning grounds in a peaceful corner of Skye. 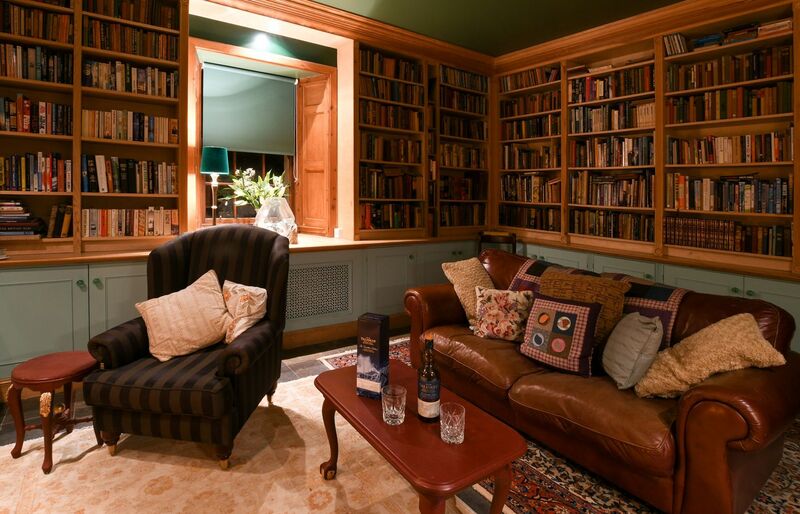 The Library is the oldest wing of the main house and takes its name from the lounge that until recently housed over 4000 books. 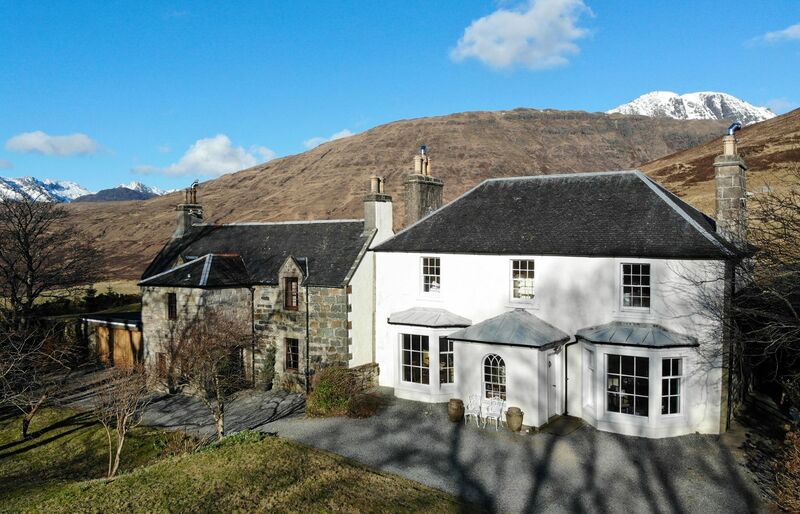 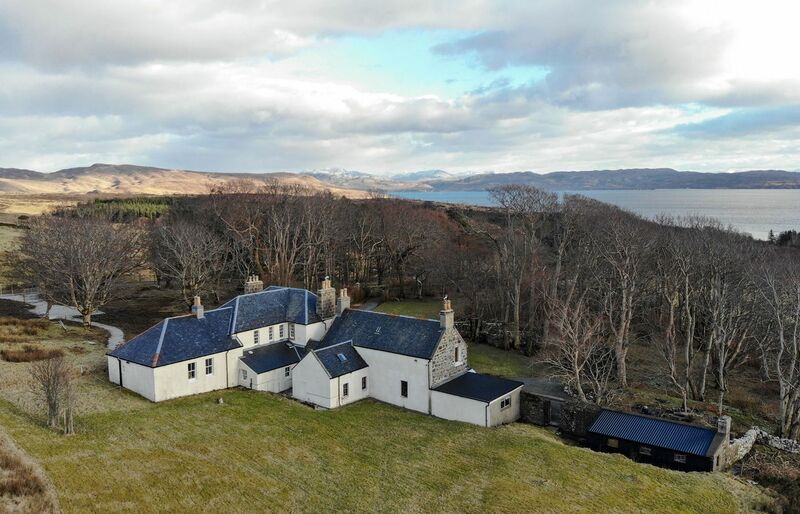 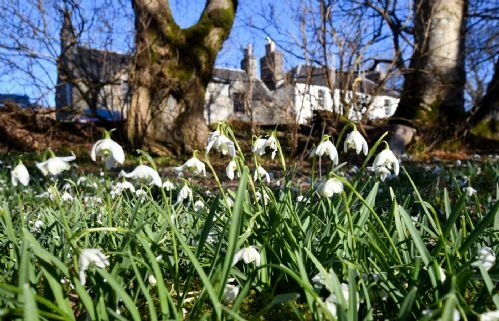 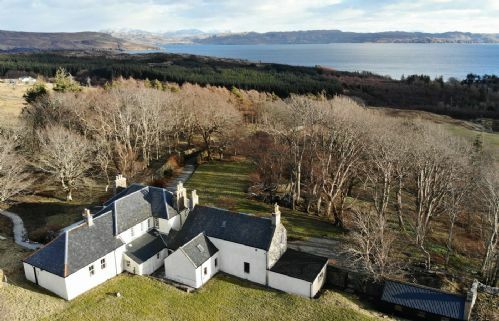 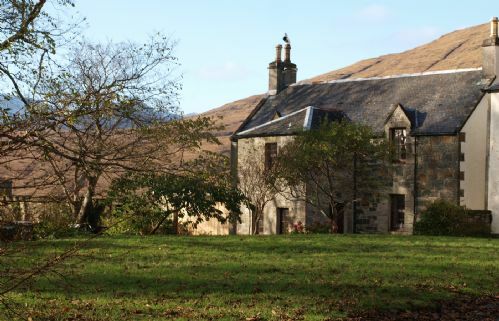 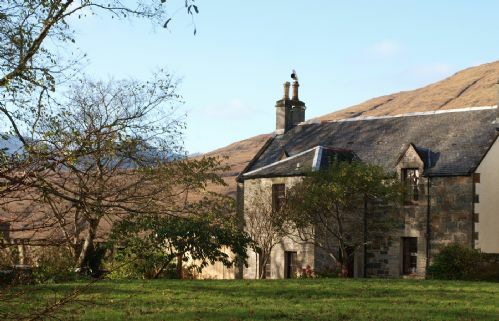 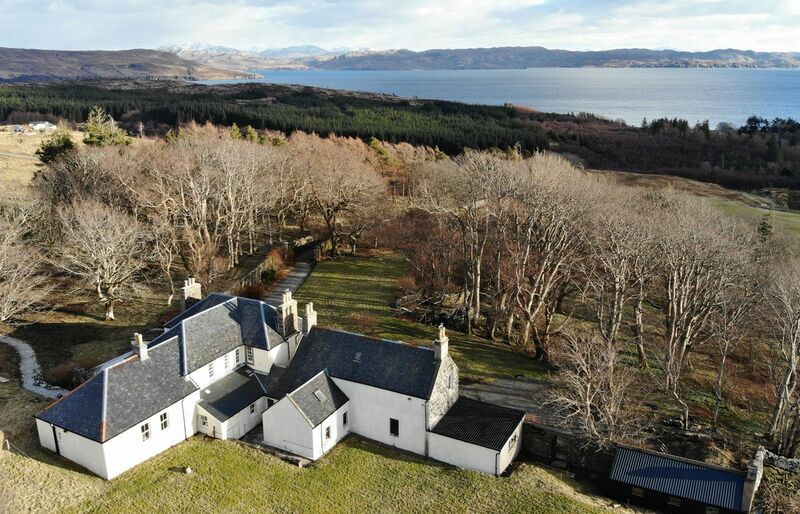 It is set within private gardens in on the Strathaird peninsula, between Torrin and Elgol. 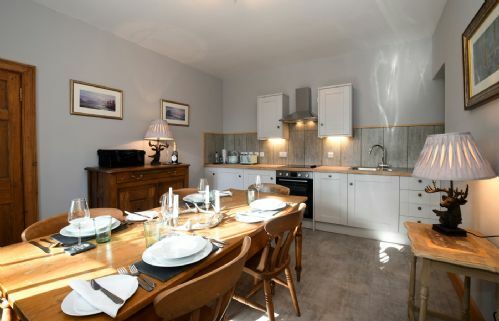 Enjoying stunning views towards the sea, the wooded gardens are waiting to be explored and there are ample walks from the doorstep for those looking for something a little more adventurous! 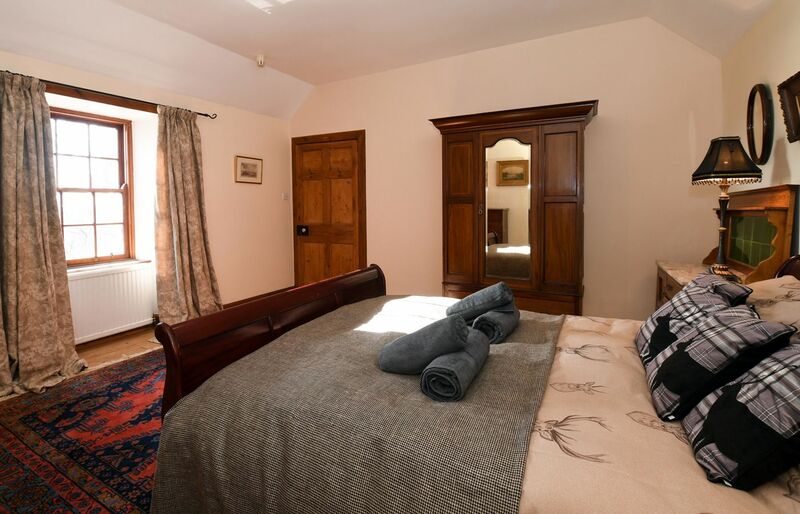 The entrance hall has separate cloakroom and shower room and opens into a spacious hallway where the generous staircase leads you upstairs. There is plenty of room for removing boots and damp jackets! The lounge is in the style of a Library and gives the house a unique atmosphere. 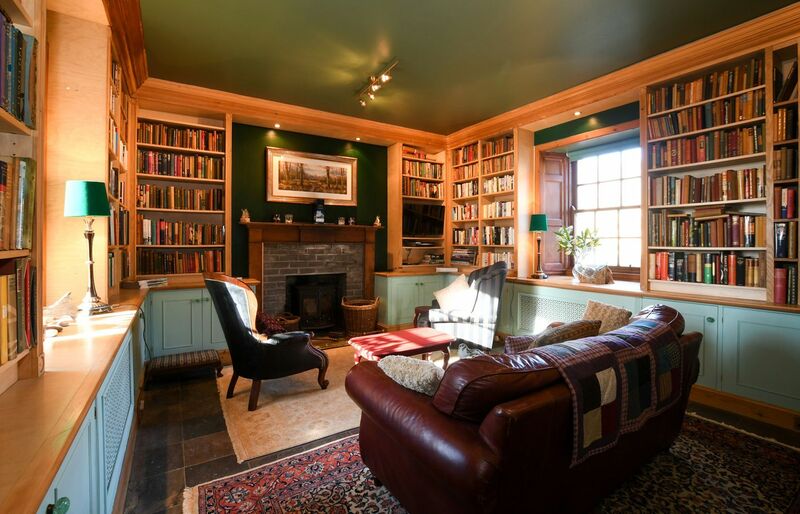 Needless to say there are plenty of books to enjoy in the very comfortable armchairs whilst sitting snugly next to the stove. 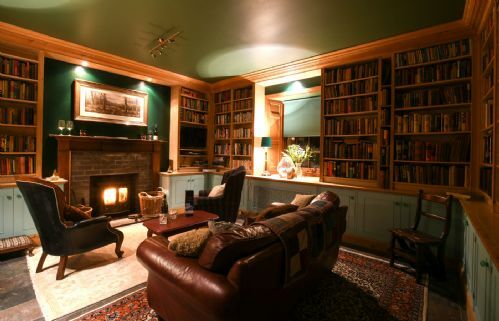 There is also a TV with Sky, DVD player and a selection of games to keep everyone entertained. 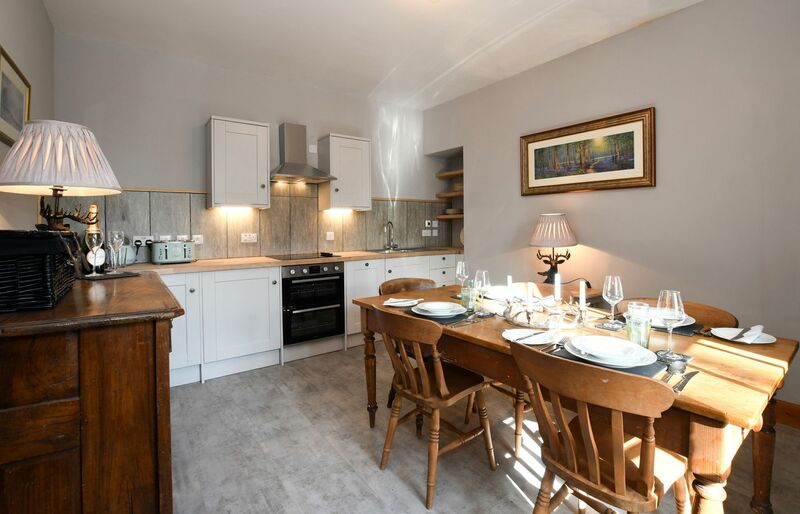 The kitchen diner has everything you need including underfloor heating creating a cosy atmosphere! There is a double oven with electric hob, microwave, dishwasher, fridge with icebox and a Tassimo coffee machine. 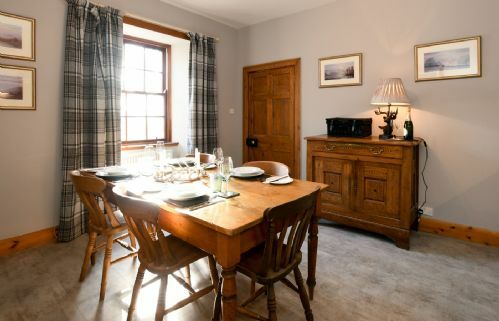 The dining area easily seats up to 5 people around the farmhouse table. 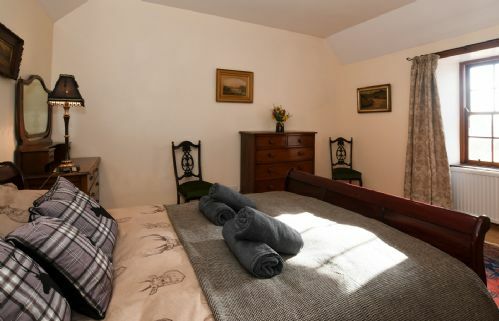 Upstairs there are two spacious bedrooms, both with superb views over the gardens and out towards the sea. 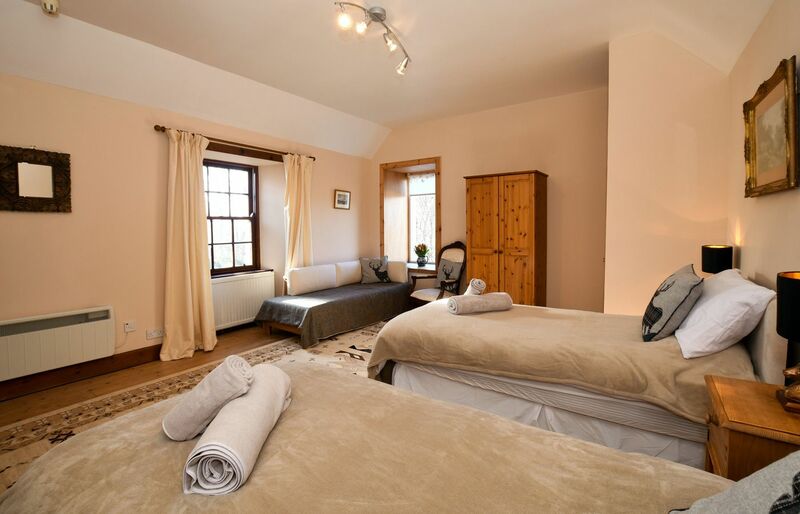 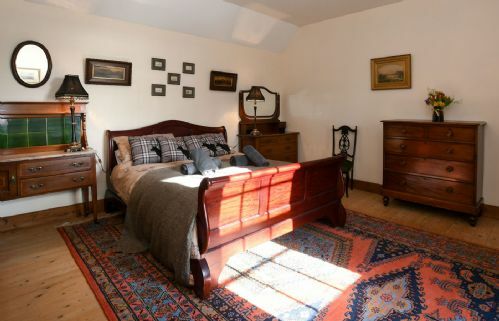 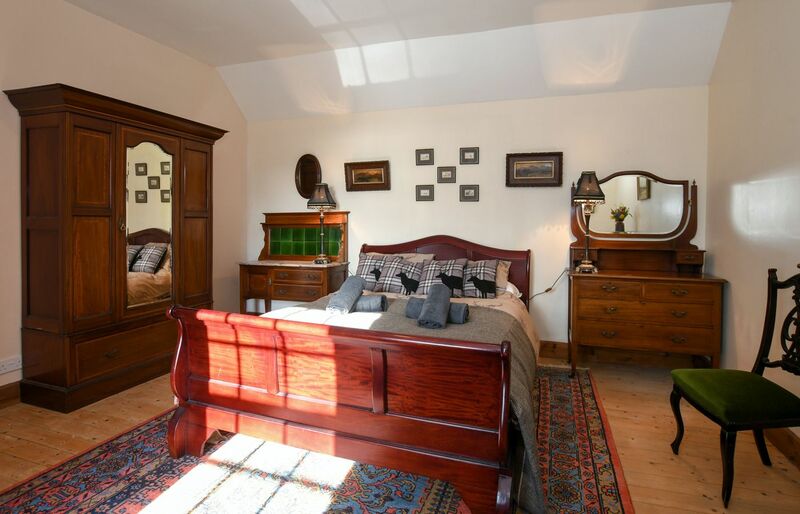 The master bedroom has a comfortable king size double bed whilst the other has twin beds. 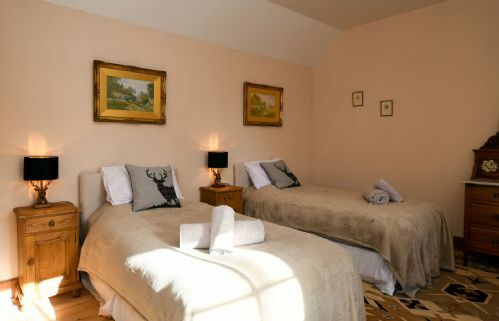 Fluffy towels, dressing gowns and slippers are provided for guests. 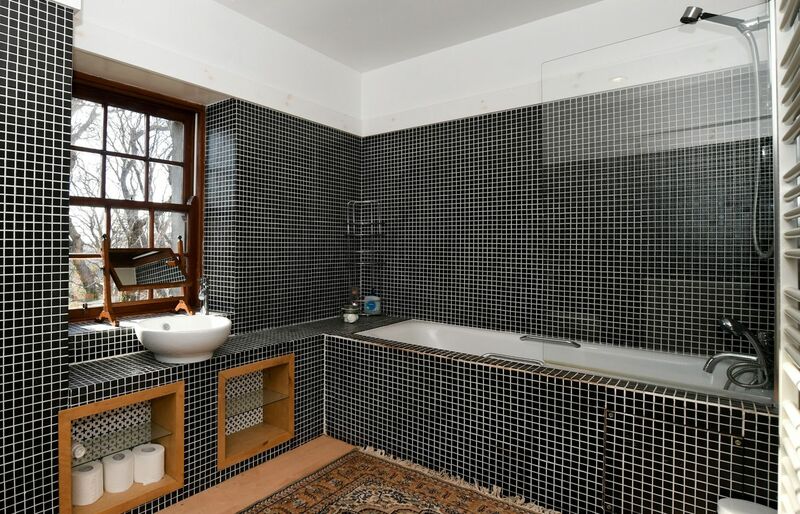 Steps lead down from the landing to the main bathroom which has underfloor heating, a bath with a shower overhead, W.C. and a wash hand basin. 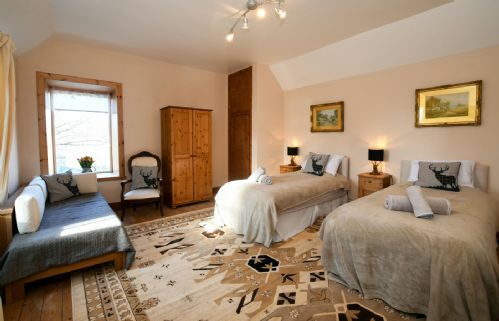 The twin room can become a triple room if used by three children only. There is an additional fee of £75 for the extra bed. Please request this at the time of booking.